There are people in history who have reached extraordinary heights in order to change the world for the better. 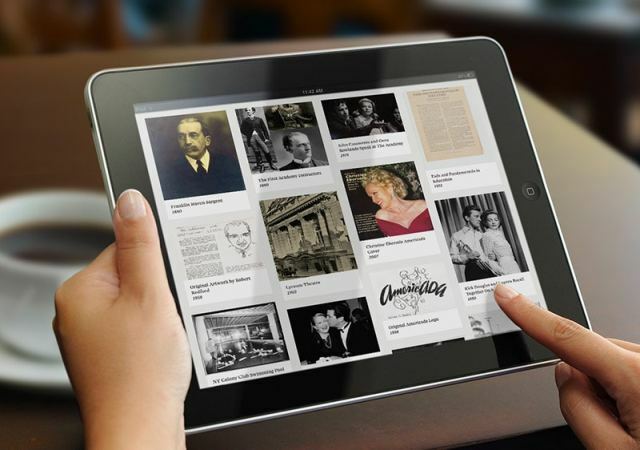 Franklin Haven Sargent, founder of The American Academy of Dramatic Arts, lived a life of remarkable impact. 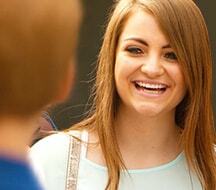 At a young age, the seeds of Sargent’s passion for the arts and education were being planted. His father was a Harvard graduate who served from the heart as a progressive Unitarian minister. His mother balanced the spiritual with the intellectual. She was the founder of Boston’s Radical Club of Chestnut Street, a highly notable literary society that met weekly in their home with authors like Longfellow, Emerson and Whittier. These exposures brought to light within Sargent a personal understanding of the power of storytelling. By his early teens, his desire was firmly set to challenge society’s conventions and see the world differently. 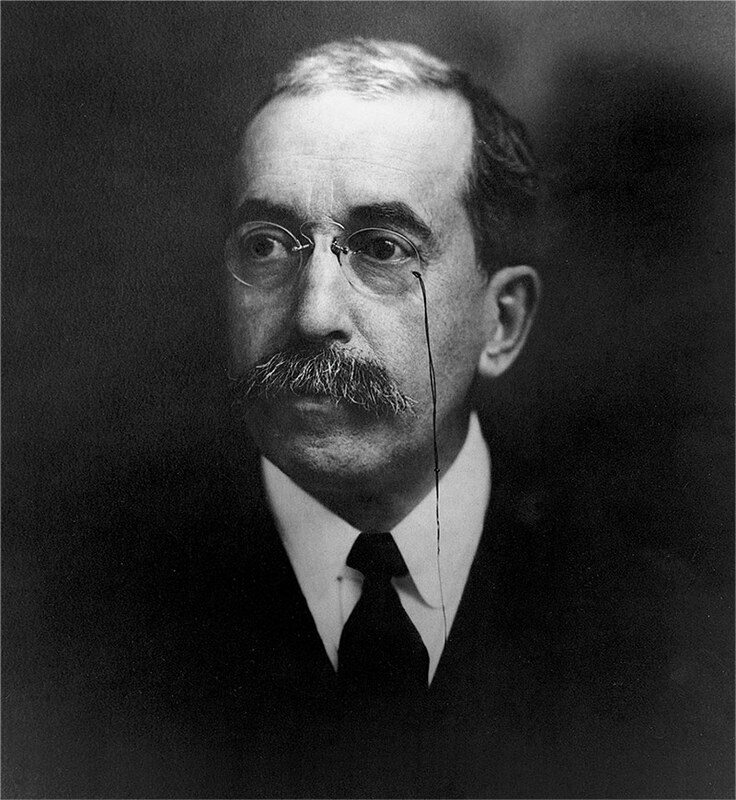 After graduating from Harvard, Sargent was invited to teach at the university becoming a prominent professor of Speech and Elocution. It was during this time that his in-depth study of ancient drama and theatre began to reveal something both remarkable and troubling. During the late 1800s, the art of human expression in American theatre had been reduced to mostly slapstick and exaggerated vaudevillian performance. Sargent understood that the process and preparation of acting deserved fuller depth in order to truly connect to the heart of a story, the character’s emotion and ultimately the audience. He wanted to open a school to provide the education necessary to transform the trade of acting into a respected craft. 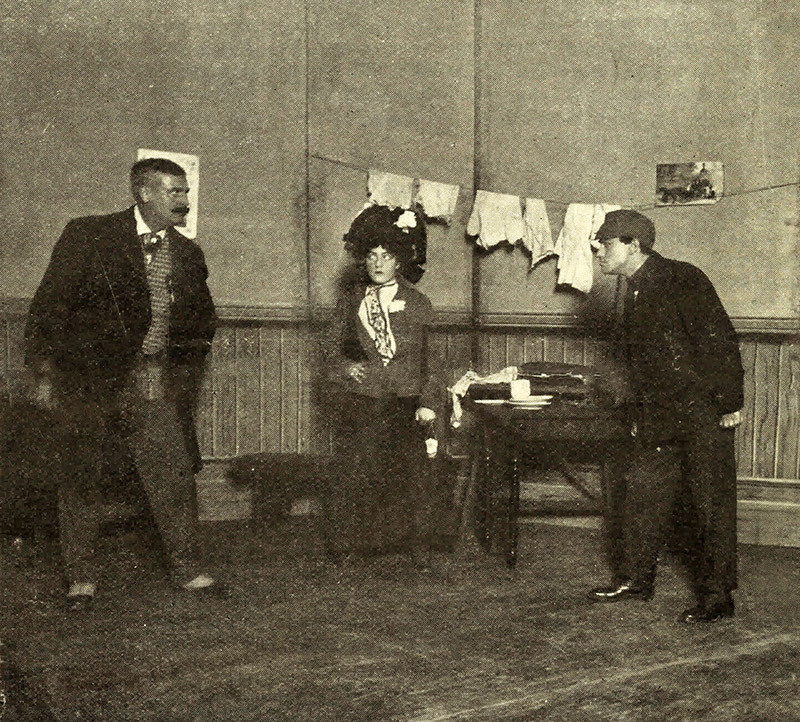 Early American theatre luminaries, Steele MacKaye (left), David Belasco (top), and Henry DeMille (right) were among the first to back Sargent’s vision. 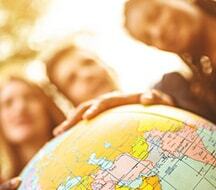 At that time in history, there were no schools for acting in the English-speaking world. Sargent’s concept was a revolutionary one, but the need was real. Fueled by the importance of his calling, Sargent moved to New York City and worked to elevate the dramatic arts at a time when most seemed content to maintain the status quo and even mocked the notion of a school dedicated entirely to the craft of acting. But Sargent pressed on, and ultimately gained favor with some of New York’s most elite theatre circles. 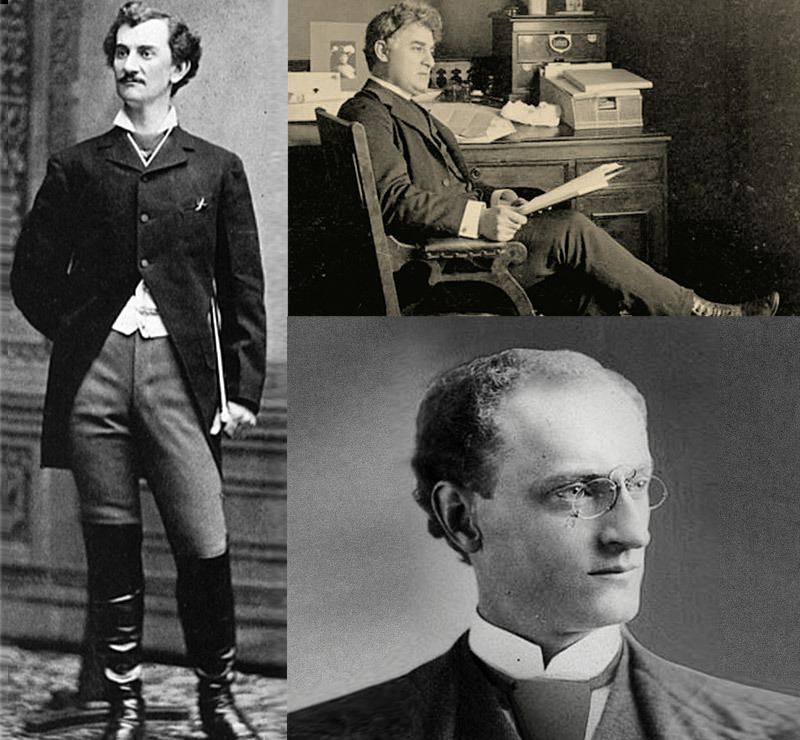 The Frohman brothers, Henry DeMille, Steele MacKaye, and David Belasco were among the first entertainment luminaries who backed Sargent’s vision, many of whom went on to become recognized as pioneers in early American stage and cinema. 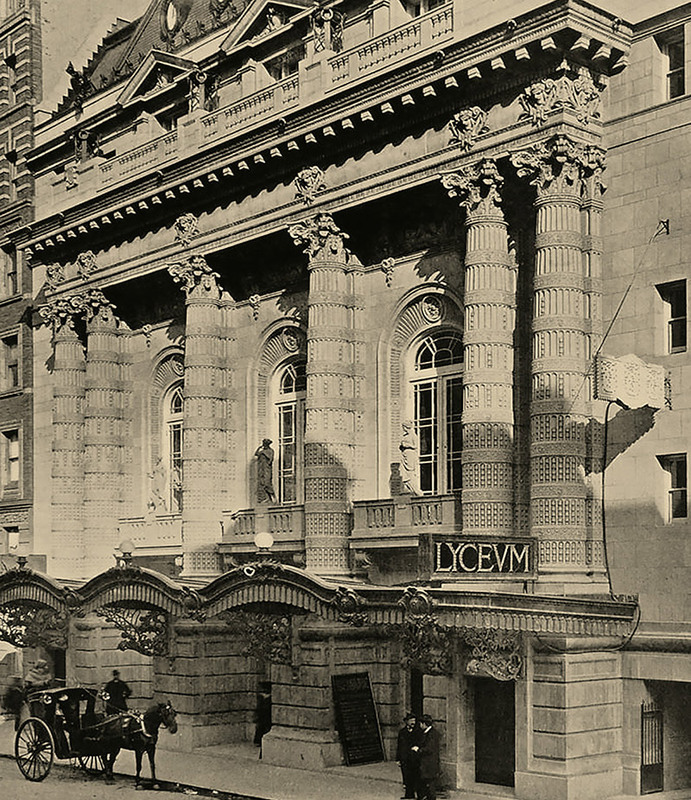 October 3, 1884: The Academy first opened its doors at The Lyceum Theatre in Manhattan. One hundred and eighteen eager students would soon become The Academy’s first graduating class and the history of acting in America was changed forever. Due to Sargent’s tireless dedication and planning, The Academy soon became a proving ground for a series of radical new ideas and groundbreaking acting methodologies. Sargent and his colleagues discovered that encouraging the pursuit of raw authenticity in performance ultimately led to a profound transformation among their students. They witnessed, for the first time, the inherent power of acting when taught as a craft. 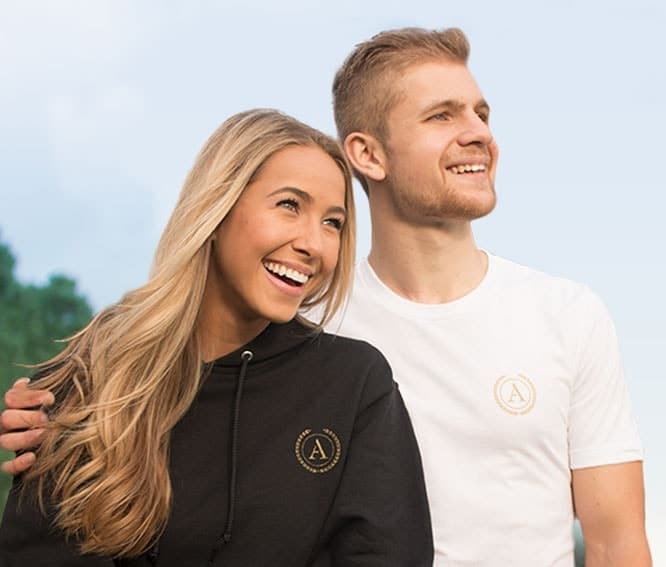 The training brought to light their students’ ability to deeply connect with truth at any given moment in any given circumstance. 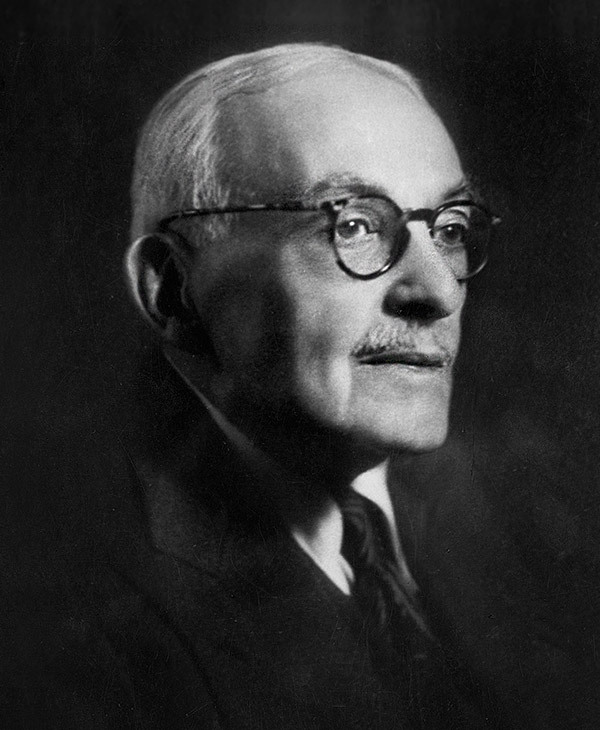 This foundational discovery was carried forward when Charles Jehlinger, an early graduate and teacher at The Academy, was appointed Director of Instruction. 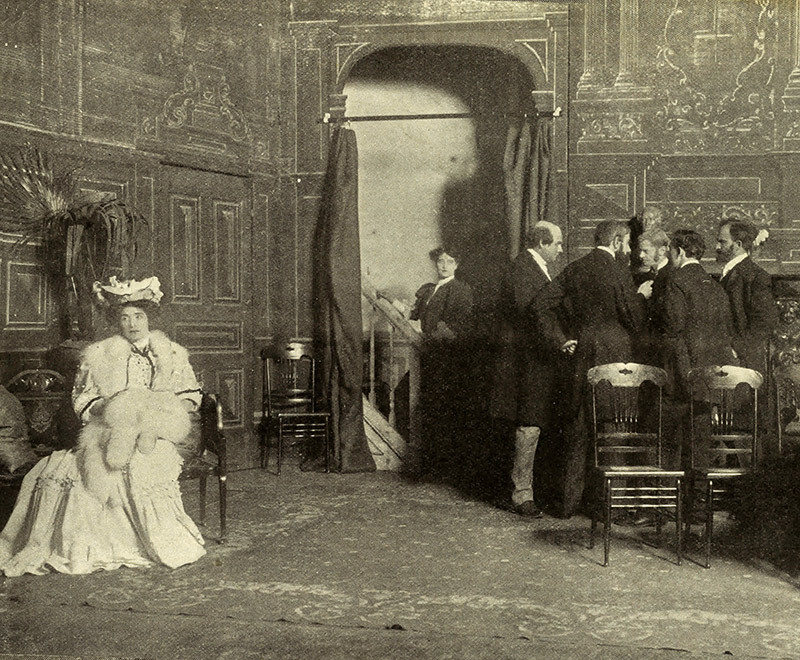 Jehlinger’s firm belief in truthful behavior in imaginary circumstances solidified The Academy’s commitment to these newfound principles of acting and further expanded upon the founding vision of Sargent. During the 20th Century, The Academy became widely known as the "Cradle to the Stars" due to its stunning reputation of influential alumni. 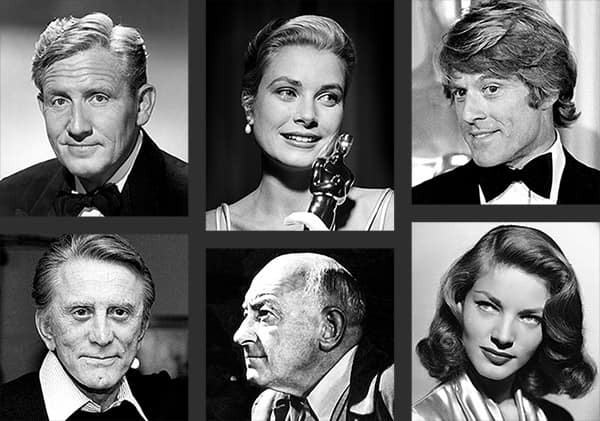 Cecil B. DeMille, Spencer Tracy, Lauren Bacall, Kirk Douglas and Grace Kelly. 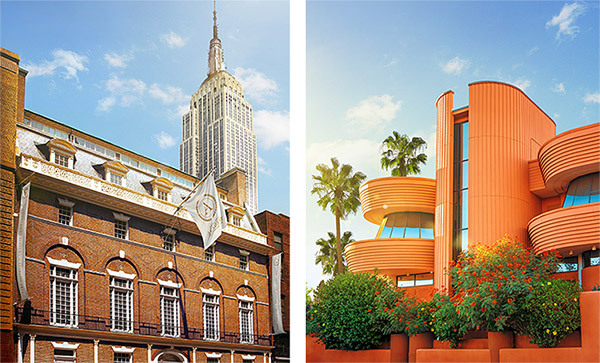 The Academy's New York and Los Angeles campuses. 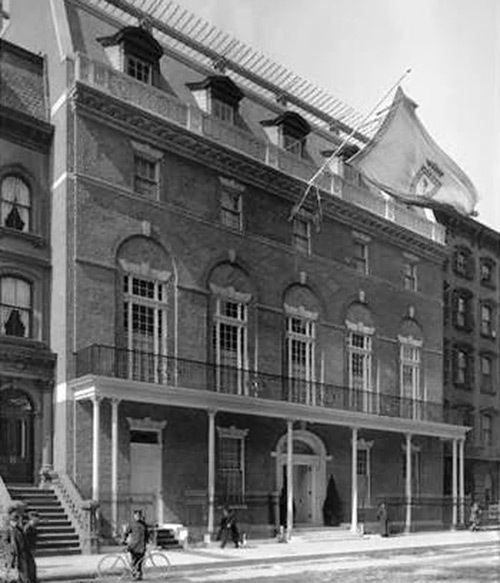 In 1963, the school moved to its present location on Madison Avenue in Midtown Manhattan, at the site of the historic Colony Club building. 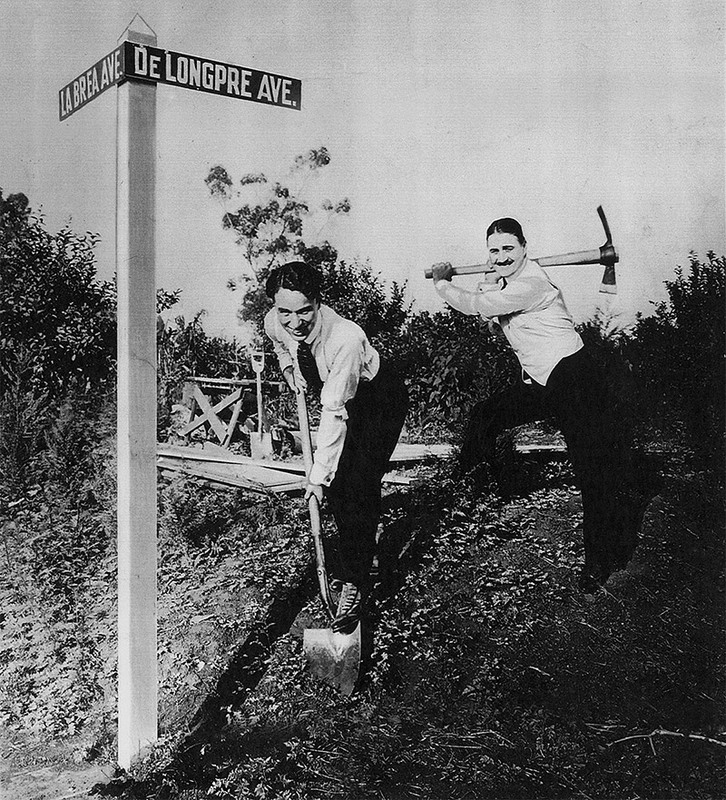 By 1974, the decision had been made to expand westward and the first Los Angeles campus was opened in Pasadena, before finally moving to its current Hollywood location in 2000, on the south lot of the former Charlie Chaplin Studios. To this day, The Academy’s legacy continues to grow with new and emerging legends like Robert Redford, Danny DeVito, Anne Hathaway, Jessica Chastain and Paul Rudd leading the way. 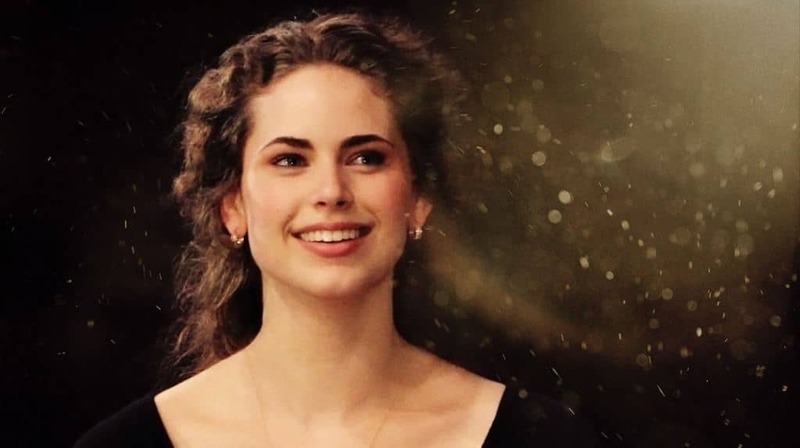 In the school’s 134-year history, our past students reflect a distinguished level of actor, as well as countless prominent and influential names from all disciplines within the entertainment industry. 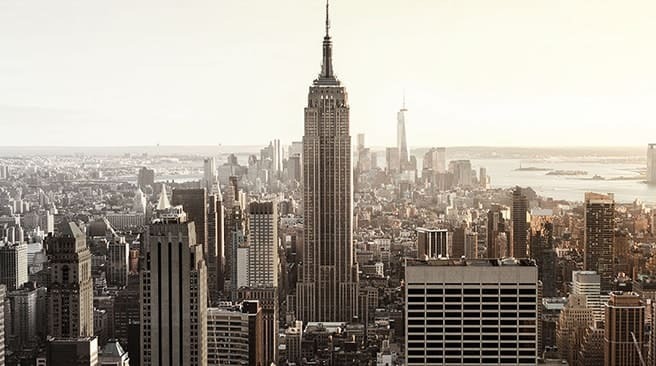 In fact, The Academy alumni hold a total of 110 Oscar®, 317 Emmy®, and 94 Tony® nominations. 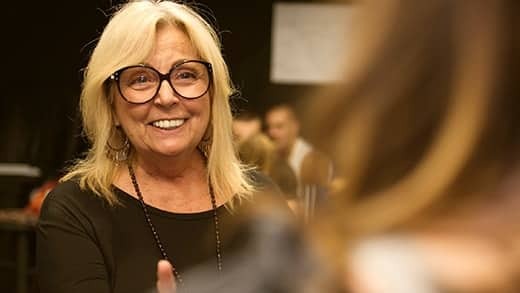 What keeps our training programs at the forefront of acting education is our unique ability to evolve with the current needs of the profession, providing innovation, insight and new methods of instruction to students and teachers from around the globe. 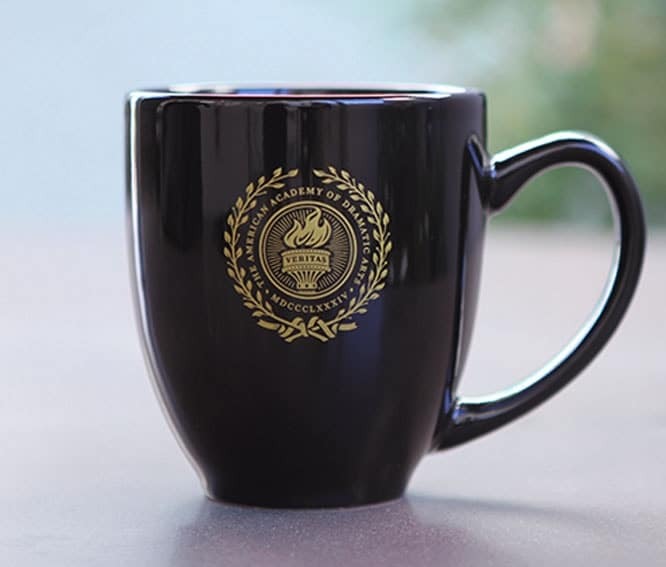 Our exemplary faculty and leadership are committed to the same high standards of excellence and vision established by the institution’s founders. 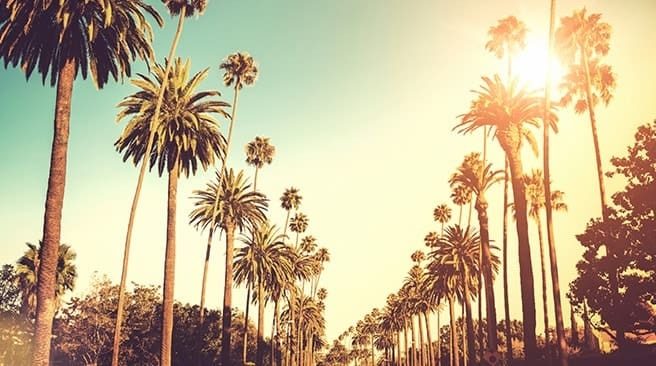 The Academy proudly and dutifully continues to pass its torch on to the next generation of actors who are certain to enrich our lives for countless years to come. 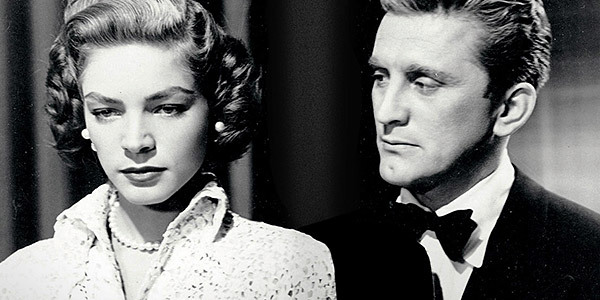 Watch Lauren Bacall salute Kirk Douglas for the 1991 AFI Life Achievement Award. See Paul Rudd honored by Michael Douglas and Adam Scott at the Hollywood Walk of Fame Ceremony. 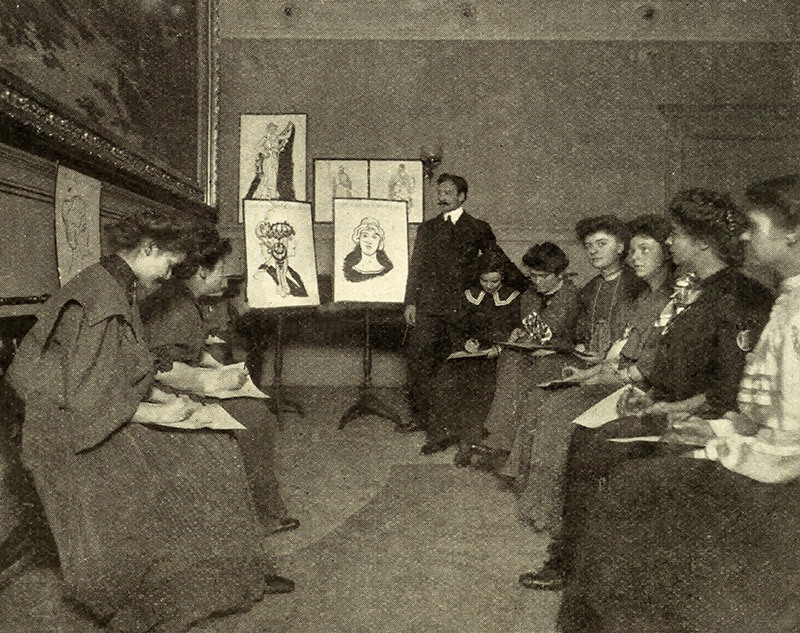 Academy students were taught to sketch costumes and make character studies to assist the memory. 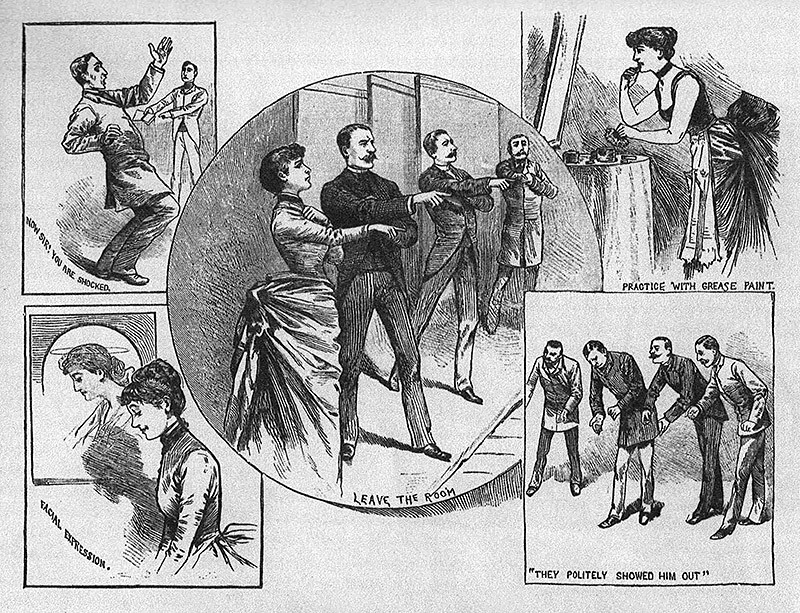 An artist's illustrations of early Academy acting instruction methods. 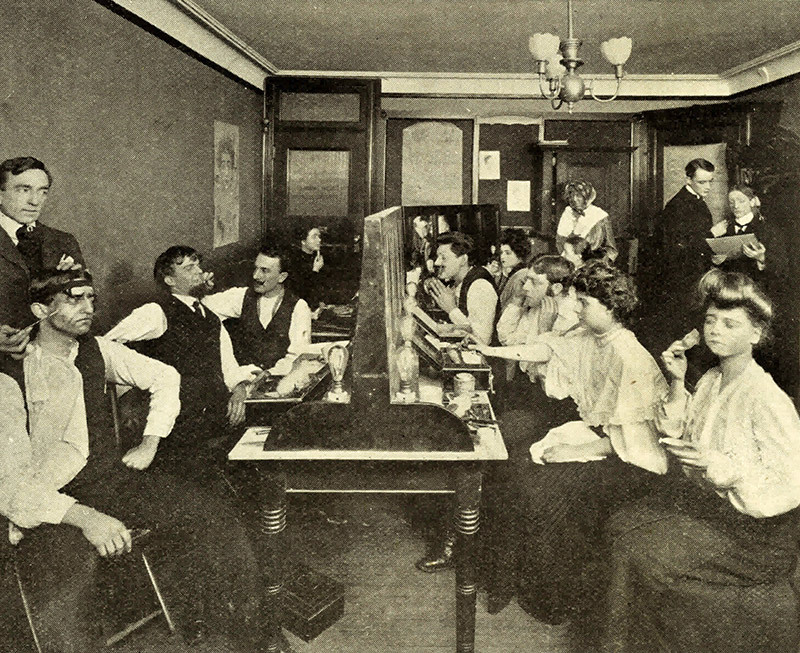 Early senior students of The Academy acting at The Empire Theatre in a playette. 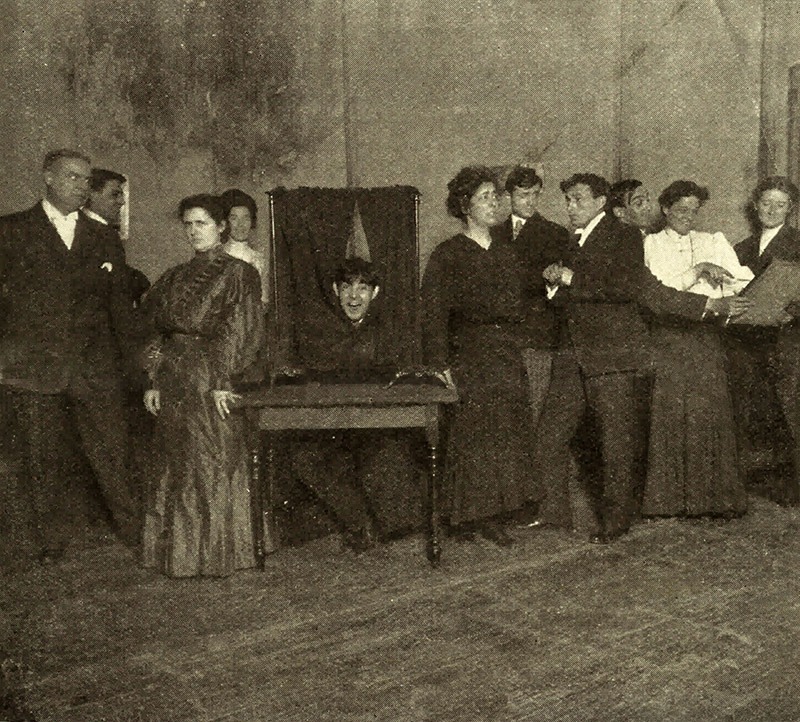 Early students in an important scene in the play, “The Measure of a Man,” produced by senior students.